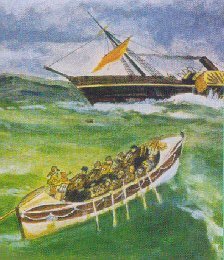 On a fogbound morning at 3-00 am, 2nd of January 1841, the luxury paddle steamer "Clonmel" ran aground whilst on a voyage from Sydney to Melbourne. All passengers and crew made it safely ashore and established a survivor camp. On their return to Melbourne, favourable descriptions of the arable land and 'welcoming bay' near the wreck site were seized upon with great enthusiasm by the press and in May 1841, the first settlers arrived. The initial settlement was at an area known as Seabank, but later moved to the town's current location at Shipping Point due to close deep water access for large vessels. Port Albert was named in honour of Prince Albert of Saxe-Coburg and Gotha, the husband of Queen Victoria. With the gold boom of the 1850's, ships carrying thousands of miners and mining equipment from America and Europe berthed at the town wharf. Large gold consignments were regularly sent to Melbourne. With sheep, cattle and tallow cargoes being loaded for overseas and Australian markets, in i860 the port rivalled Melbourne for shipping movements. The development of ports at Lakes Entrance and Sale in 1864 and the opening of the railway from Melbourne to Sale in 1878, caused a gradual decline in shipping, resulting in Port Albert placing its future economic reliance on the fishing industry. 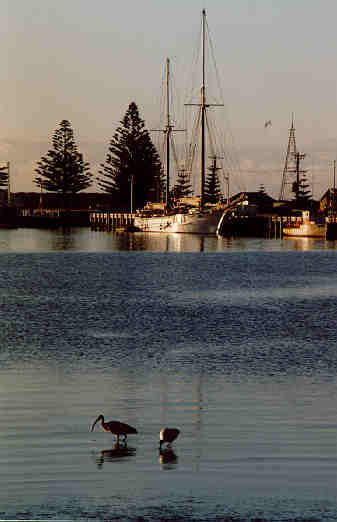 The wreck of the Clonmel was consequently instrumental in opening up East Gippsland for trade and pastoral settlement, and throughout the 1850s and 1860s, Port Albert was the centre of trade for south eastern Victoria. In its heyday, Port Albert was a thriving township with its own shipping company, wharfs, customs house and bond stores, steam tugboat, port pilot service, lifeboat and signal station, the "Gippsland Guardian" newspaper office, McKenzie's coach building company, two stage coach lines, police and immigration barracks, courthouse & jail, three hotels, boarding houses, race course, brick works, Bank of Victoria branch with a blue stone vault to store gold (now the Gippsland Maritime Museum), powder magazine & jetty, boiling down and salting works, three churches, schools and of course, many businesses, one of which was John Robert's draper store and residence - Gowrie House. Gorwie House, 65 Tarraville Road. John Lloyd Roberts, draper, purchased the land in 1855 for 250 pounds sterling and had the shop and residence built of rendered ships' ballast stone and handmade bricks in mid 1856. He sold the business and freehold to Samuel Griffiths, draper, in 1868 and in an 1871 survey, it is described as houses, a shop and store. By 1874, a timber addition of two bedrooms and a hallway had been built - a later survey description was - a nine room house and store - which continued as such into the 1880's when James and George McKenzie owned and occupied the business. 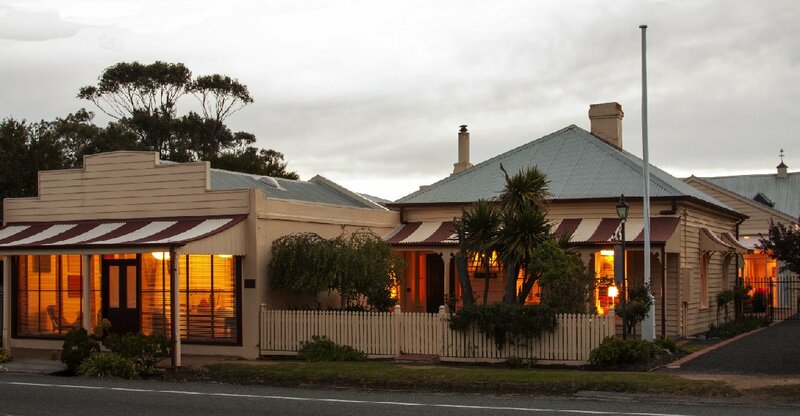 The McKenzie family members established many substantial businesses in both Port Albert and Yarram with many relatives still living in the area. Today the residence and store retain many of the original features and charm of colonial architecture. The draper's wooden fabric hangers are still suspended from the store ceilings. Wide Baltic pine flooring boards, colonial concave roof verandas and striping, steep hipped roof and corniced chimneys are indicative of that era. It is the second oldest residence known in Port Albert.